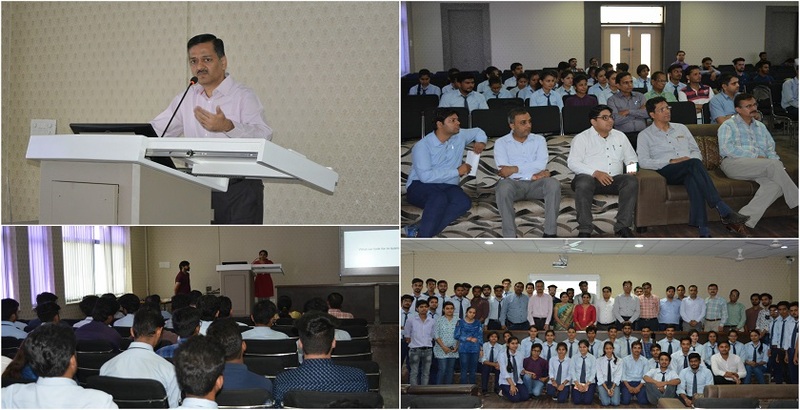 Department of IT, Government of Rajasthan has initiated an exclusive program from Rajasthan students called Rajasthan Student Startup Exposure Program (SSEP), as part of which 100 selected students from Rajasthan will be taken on an all expense paid trip to Silicon Valley, USA. Rajasthan Student Startup Exposure Program has been conceptualized by the Government of Rajasthan with the vision and objective to create a youth entrepreneurship pipeline in the state of Rajasthan. As part of the program, 100 selected students from Rajasthan will be offered residential learning program in Silicon Valley. The Silicon Valley learning program will span two weeks from 10th of July to 28th of July. All participants who successfully submit their applications will be provided 3 month access to an online learning course. The content of the course will be same as that is being offered to the participants of the Silicon Valley residential learning program. The seminar was addressed by Meera Radhakrishnan. iStart Rajasthan is a flagship initiative by the Government of Rajasthan intended to foster innovation, create jobs and facilitate investment. The program aims to nurture innovation and entrepreneurship which would further help in the economic growth and development of the state. Through this initiative, the State Government intends to build an environment where there would be an easy access to knowledge exchange and funding.All applications are reviewed on a real time basis.The processing time subject to all documents being approved in 3 working days.In addition to this we also work towards providing the Q-Rate score card on real time basis, while the official processing time is 10 working days. Student studying in one of the colleges in the state of Rajasthan.